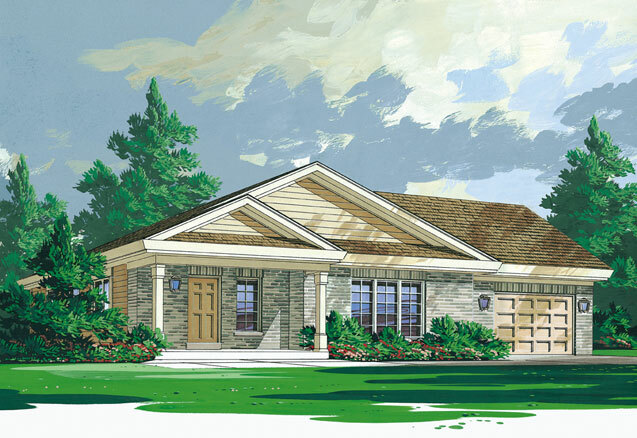 The Arthur is a three bedroom bungalow home designed for smaller sized lots. 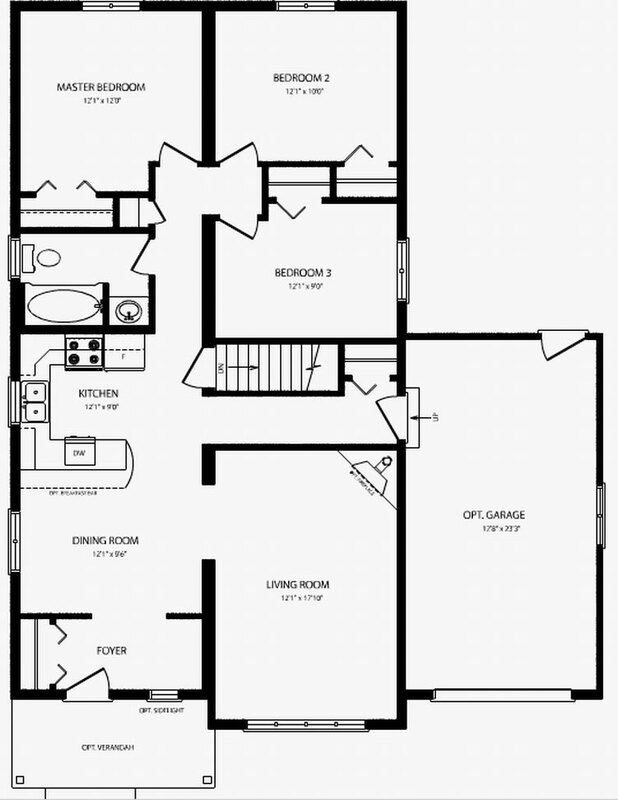 The covered front leads into a formal foyer and an open concept dining room and kitchen. A large living room is at the front porch of the home while three bedrooms are located at the back of the home for privacy.